Decorative Life: Weeks to months in the landscape depending on their care and the environment. Deeper and larger volume growing containers can improve shelf life. Plugs can be stored for up to six weeks in the dark at 45F but do much better if provided as little as 5 ft-c of light during storage. In another series of tests, plugs could be stored at 41F for 14 days in the dark or in light. 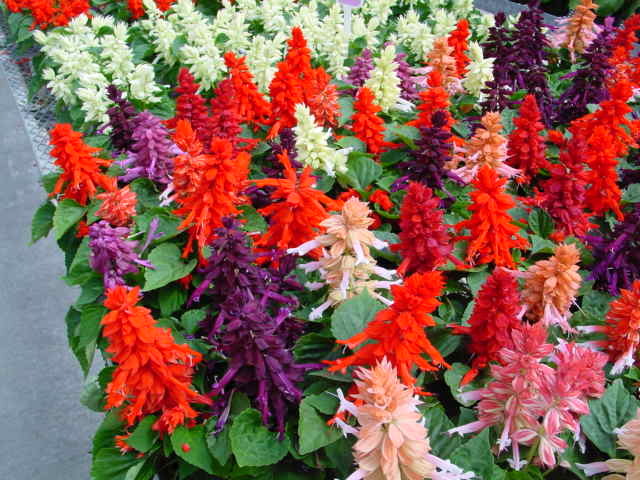 The specific epithet name splendens means splendid, in reference to its flowers. The American Academy of Allergy, Asthma and Immunology lists this species as an allergy-safe pollen producing plant. Salvia from the Latin “salvare” (to save, heal), in reference to the reported medicinal properties of some species. Some favorite cultivars and their respective flower colors include ‘Maestro’ (red), ‘Rhea’ (deep violet/purple) and ‘Strata’ (blue and white). Full sunlight would be best in the garden setting.